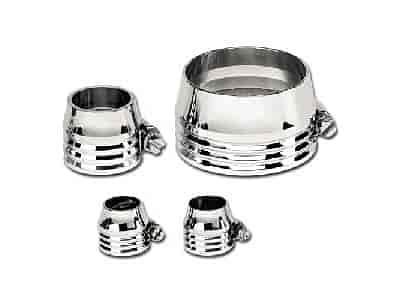 67725 - Billet Specialties Hose Clamps is rated 1.0 out of 5 by 1. Rated 1 out of 5 by Grat52 from Pretty but useless These clamps look great, but too fat to fit on the motor or firewall. I did not return them on the off chance I may have a use for them some day. I was tired of trying to make Spectre ones work, so I bought these.